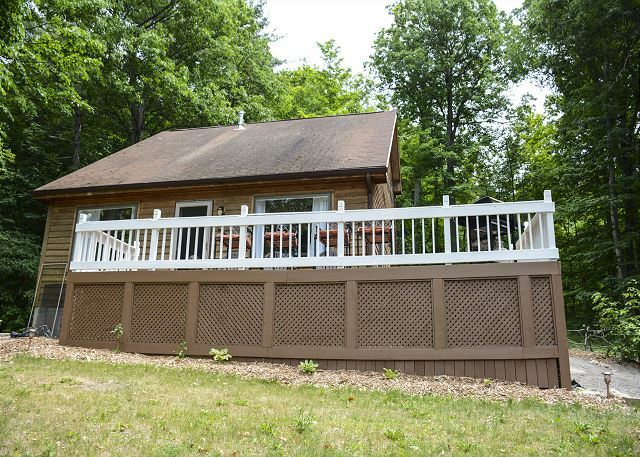 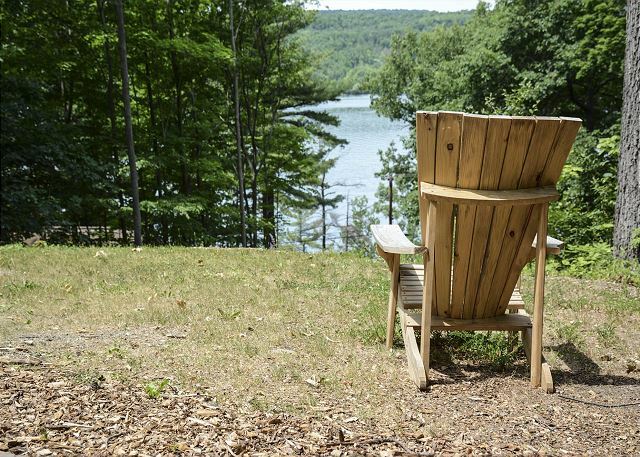 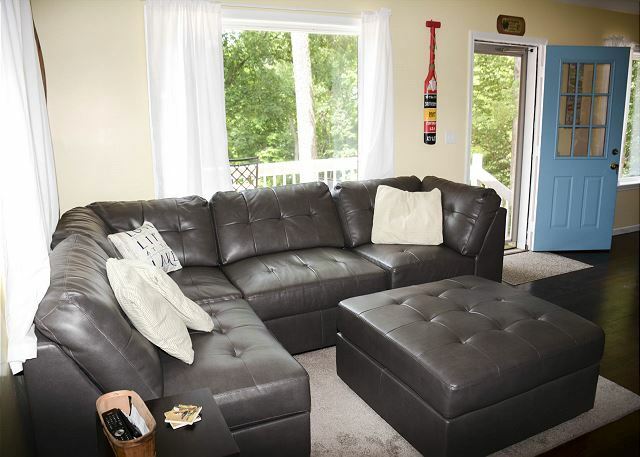 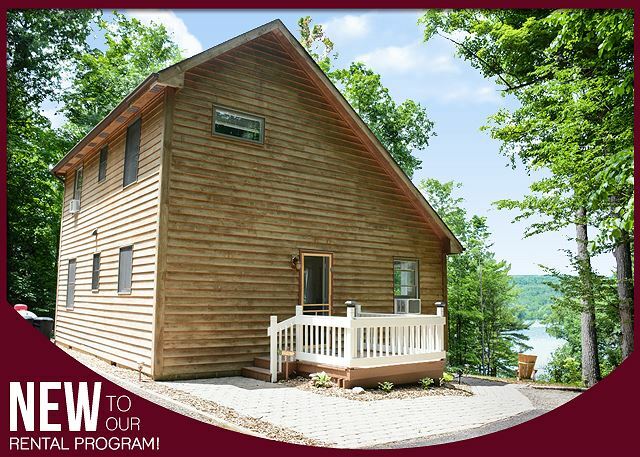 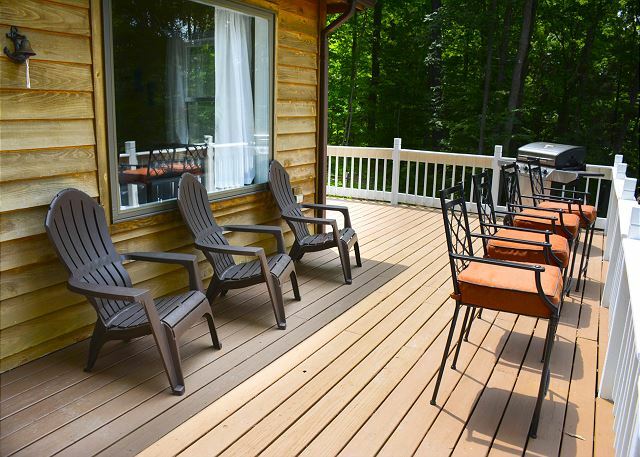 With the spacious luxury of a hotel, the privacy of a hidden cabin, the fun of the lake, and all the warmth and comforts of home, Skyline Oaks is the ideal vacation spot for groups both large and small, or for those looking for a longer retreat! 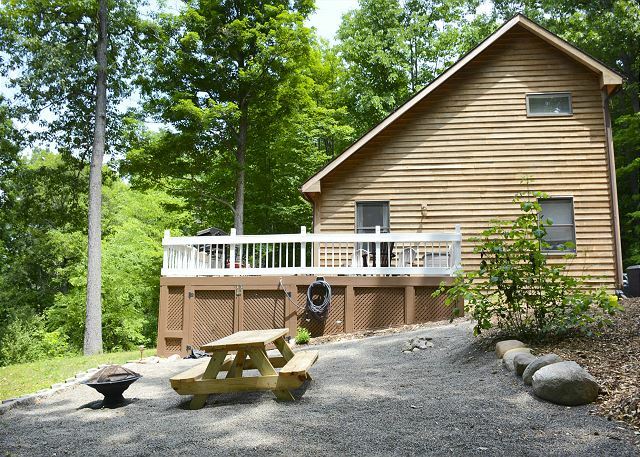 After driving up to this secluded wooded property, you'll walk through the door into the main living/dining space, a bright yet inviting area boasting impressive floorspace, ample luxurious seating, and a stone electric fireplace. 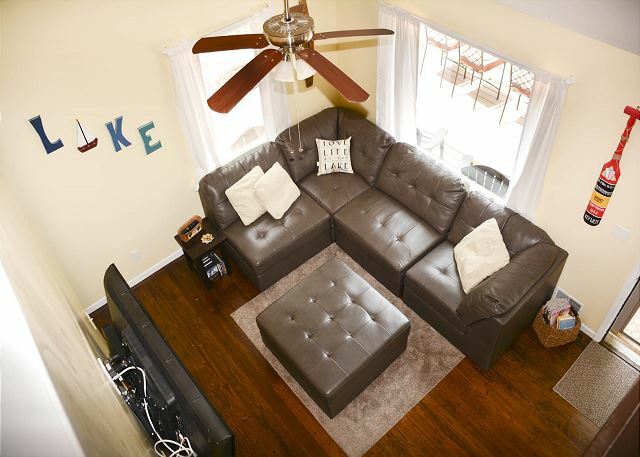 High ceilings and dark hardwood floors throughout strike a perfect balance between the feeling of spacious extravagance and cozy home living. 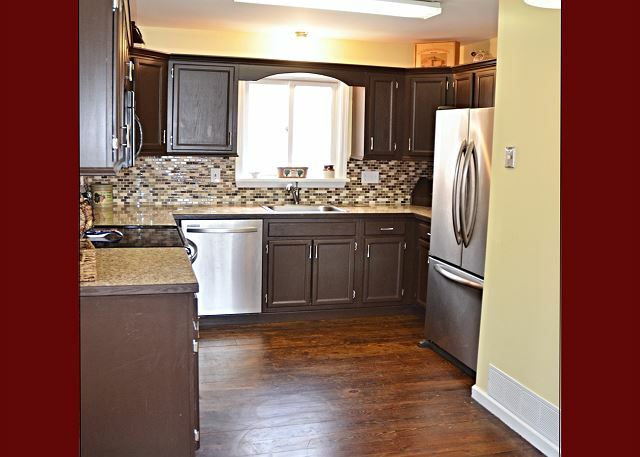 Just to the left awaits a large, open kitchen fully furnished with modern appliances and enough counter space to please even the most spirited chef. 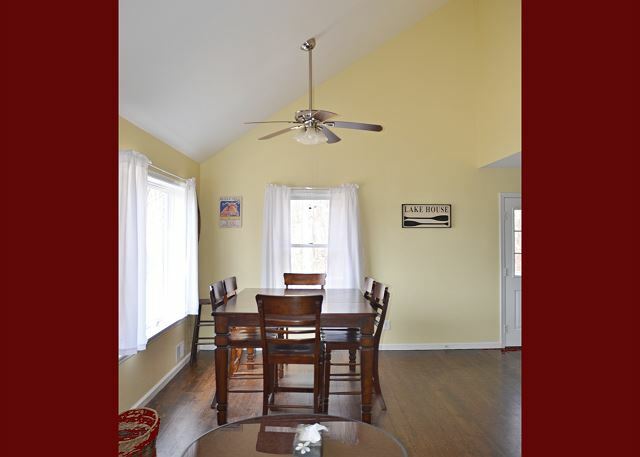 Hoping to entertain a group of overnight guests? 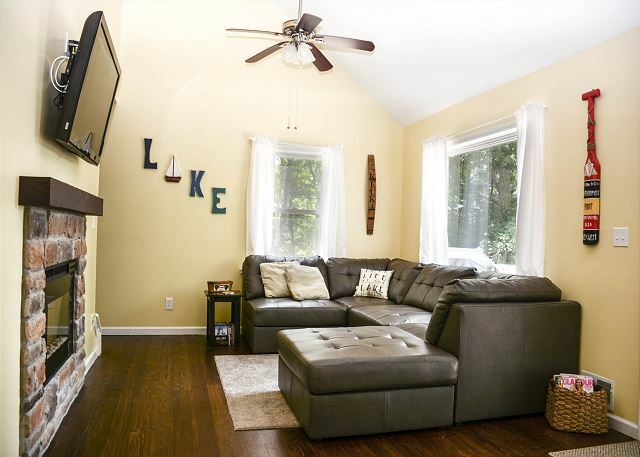 In addition to the 2 main bedrooms – a full bed downstairs, and the queen master bedroom upstairs – the house also features an upstairs guest room with 2 large bunk beds, and the two full baths make getting ready for the day or for bed a breeze. 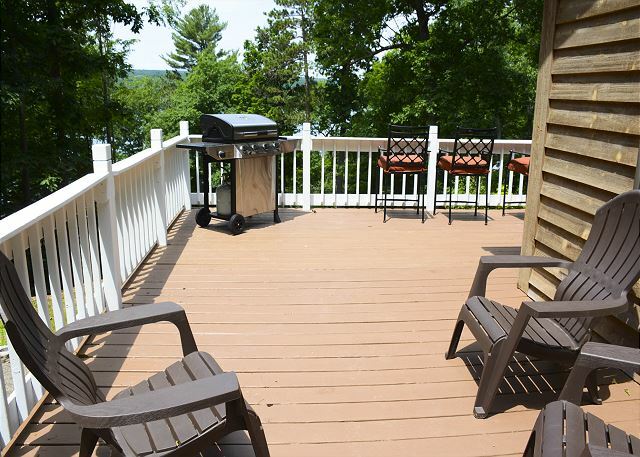 Exit through the front door and be greeted by a wide wrap-around deck, complete with a propane grill and plenty of outdoor seating. 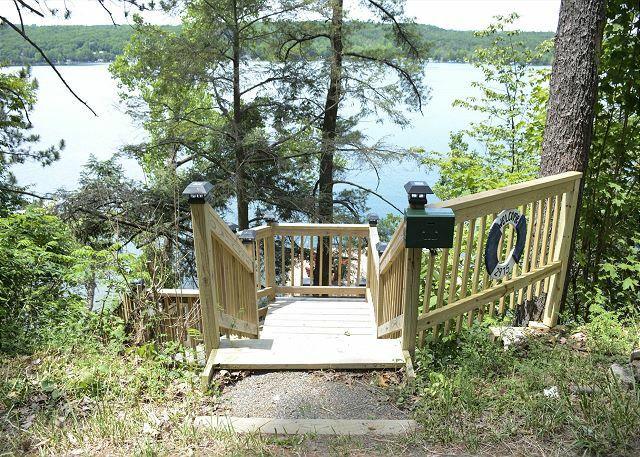 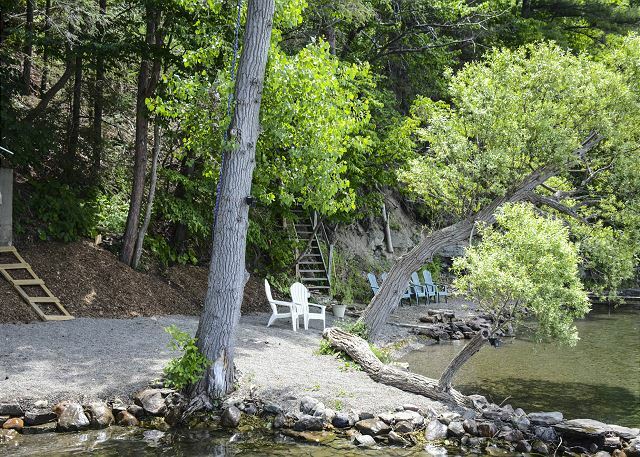 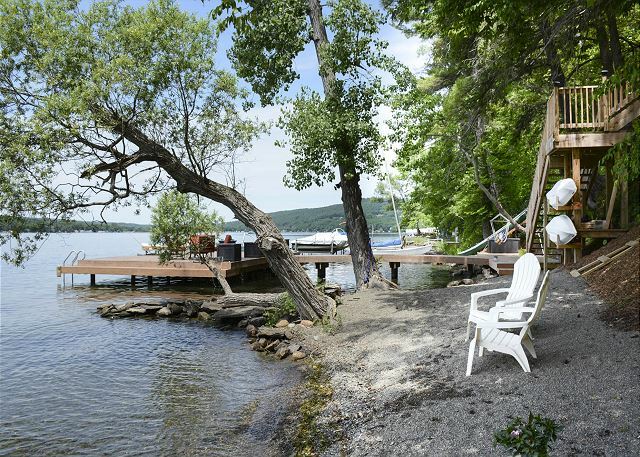 If you're interested in a more nautical accommodation, just across the road you will find your lakefront: featuring a beautiful, personal dock. 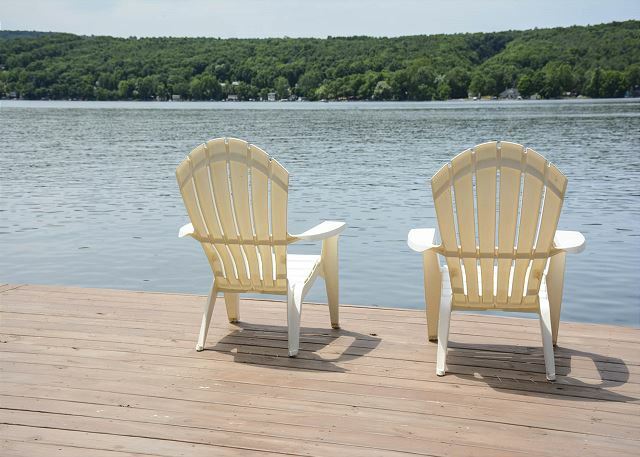 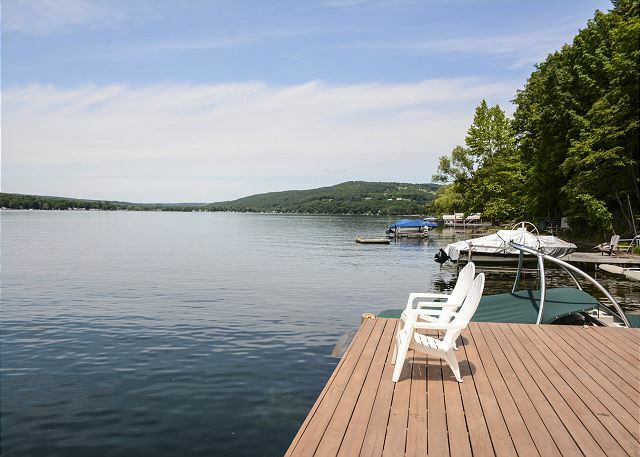 This permanent dock can be used to launch your own small watercraft or the provided kayaks, with which you can explore the calm waters and stunning views of Keuka Lake. 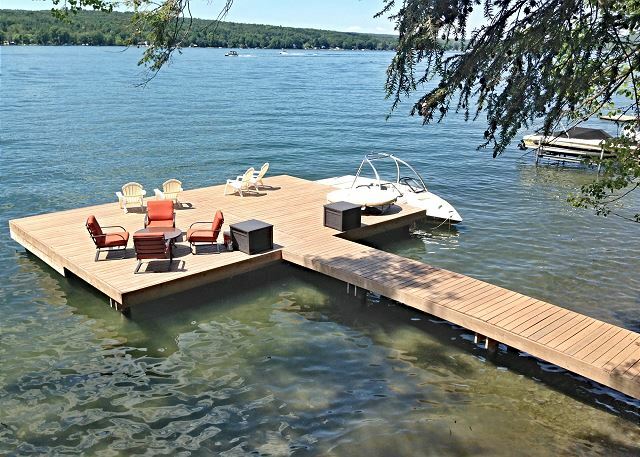 The dock itself is also spacious enough to serve as a second deck directly on the lake, with all the necessary seating included! 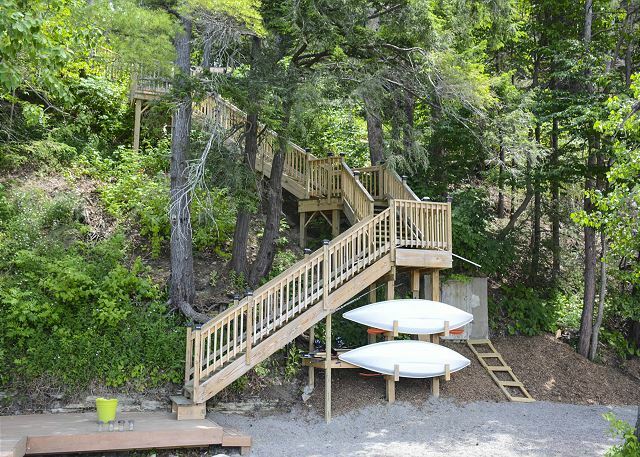 There is a nice beach area, with zero step entry into the water, which is great for wading and young children.